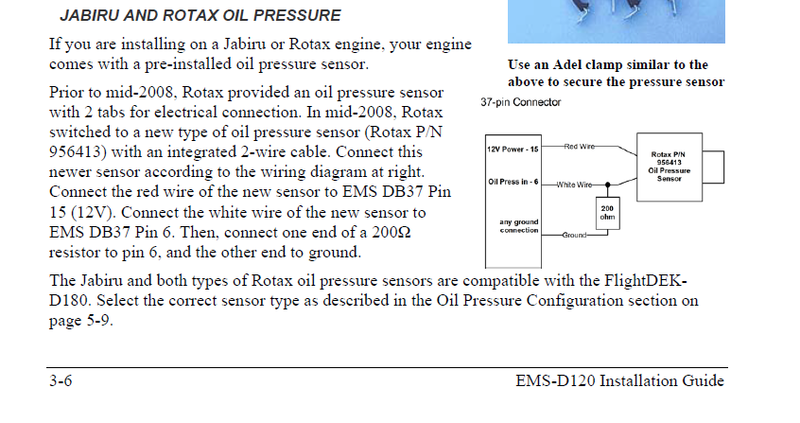 Has anyone else had any trouble getting the correct Oil pressure reading on your Dynon D120? My pressures were reading High so I ordered another Kavlico Sender to see if that would eliminate the problem but I still get the same readings. Upon further investigation, it turns out that the Dynon system was incorrectly configured in the OIL PRESSURE Menu and was set to #3 instead of #5 where it should be. This setting gave pretty normal readings however the Oil Pressure always read 30 psi when the engine was OFF. After setting the Dynon to the #5 option, the static pressure dropped to ZERO (good) but the running pressure only went to 30 psi. I tried this with BOTH Kavlico sending units (new one and old one) and thy were exactly the same. I even hooked up a mechanical oil Pressure gauge and everything reads perfect. I have been working with Roger on this , along with Dynon and we are all stumped. I have checked the wiring, checked the grounds and we cannot solve this problem. Dynon suggested I go back to the VDO sender and use option #1 to see if that works. Since they are not available locally, I ordered one and it will be a few more days until it arrives. Are you sure your oil pressure is not *actually* 30psi? Yes I am sure it is not 30 psi. 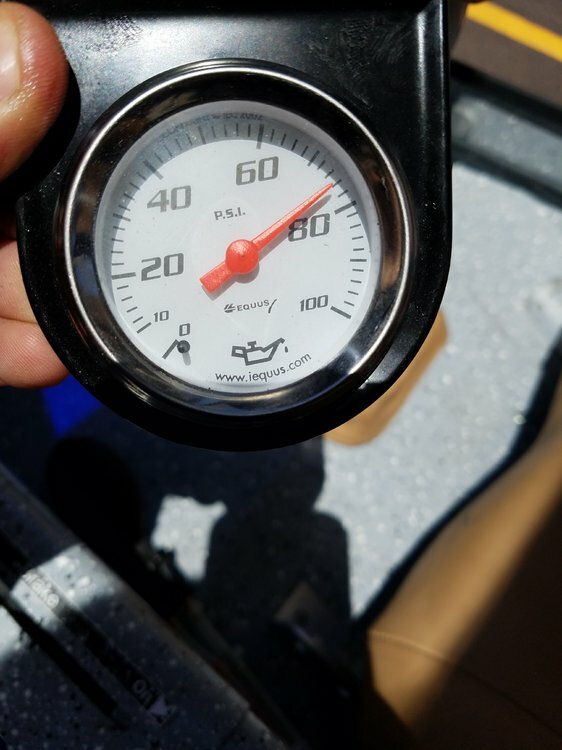 Roger tested it last week with a mechanical gauge and I tested it yesterday with another separate mechanical gauge and the readings were consistent. When it's warmed up he's in the mid to high 50's. Nobody has a solution yet, not even Dynon. We both suggested to try a VDO again. We have tried everything so far. Is the resistor installed and has the correct value? It acts as a divider, it is very important! Nope, nobody told me of any resister needed, not even Dynon. Anyways, I just hooked up an old VDO sender and set the setting to ONE and it works fine now. My guess is that this engine came originally with the VDO and somewhere along the line before Todd had it someone put in the electronic sender and didn't add the resister. It is odd that Dynon didn't mention this, but I know Todd is calling them to confirm. They probably assumed it always had this electronic sender and this was a new problem. This applies to all rotax oil pressure senders that are not resistive in nature (the kavlico and honeywell are Piezoelectrical). You'll very likely see your problem go away. The new sensors are incredibly reliable devices and I do recommend using them!